In 2011 we started redefining the inspection business for the benefit of all involved parties! 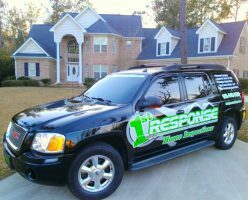 We are among the small percentage of Certified Georgia Inspectors using Infrared and Drone technology for our clients and we do so at “NO ADDITIONAL COST’ on every Home Inspection. We also use a wide variety of the most current diagnostic tools available to help aid us in conducting a thorough home inspection and we’ll supply you with online report access within 24hours of property departure. Each inspector is InterNACHI (InterNational Association of Certified Home Inspectors) Certified & is a member of the International Code Council, ICC. We’re insured and backed by InterNACHI’s $10,000 Honor Guarantee. Every Home Inspection includes a manufacture recall check of appliances (including HVAC & Water Heater), a 90 Day Warranty and the option to take advantage of discounted Alarm Service. We can conduct mold testing and also have the WDO (Wood Destroying Organism) inspection completed in conjunction with the home inspection and provide you with the needed CL-100 Letter (when applicable) and if the home has a swimming pool and/or spa, we’re certified to inspect it also! 1st Response is the ONLY Response you’ll need to help you make an informed decision. Inspecting all of Southeast Georgia including the cities of: Richmond Hill , Statesboro , Savannah , Pooler , Garden City , Port Wentworth , Tybee Island , Bloomingdale , Rincon , Lyons , Springfield , Guyton , Sylvania , Newington , Claxton , Metter , Glennville , Reidsville , Pembroke , Ellabell, Hinesville , Swainsboro , Midway , Riceboro , Vidalia , Baxley , Jesup and all areas within a 60 mile radius of Savannah , Georgia.